Just in time for the new year. 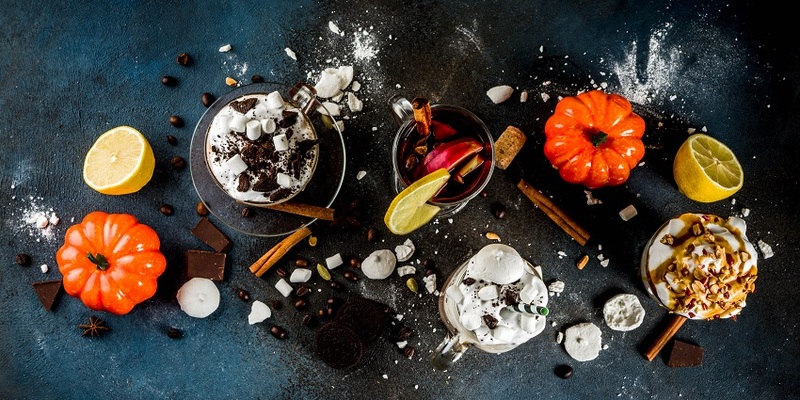 Beverage development company Imbibe has released its list of the top beverage trends for 2019, which include popular flavors, ingredients and claims. Nostalgic flavors. As consumer look for ways to combat stress, they will seek out products that provide comfort and bring them back to a moment. Flavors like s’mores, birthday cake, cookie dough and cereal milk are classic nostalgic flavors and have been used in beverages, protein shakes and cocktails. Seasonal flavors like pumpkin spice, maple, eggnog and caramel apple are also popular as limited time offerings (LTOs). Globally inspired tastes. Citing an annual growth of 20% between 2013 and 2017, ethnic flavors are expected to continue growing. Spicy flavors like cardamom, ginger, cayenne, jalapeño, chili, and habañero will be popular in indulgent beverages, cocktails, coffees, teas and juices; while yuzu, Meyer lemon, blood orange and guava will gain momentum in 2019. Beverages with a bit of texture. In addition to flavor, consumers are increasingly looking for products with texture. According to Innova Market Insight, sensory claims on foods and beverage increased 16% from 2013 to 2017. While carbonation will continue to be the preferred format for many drinks, whipped and nitrogen infused beverage will gain more attention. Flash-brewed coffee. Move over cold brew, flash-brewed coffee is the latest emerging coffee trend. Made by brewing hot coffee in an oxygen-free environment with approximately 60% of the water normally used, the brewing method results in a crisper, full-flavored drink. Personalized functional beverages. Functional coffee, probiotic-rich and superfood-infused beverages are just some of the hyper-personalized functional beverages that consumers are demanding. Consumers will demand products that benefit their energy level, cognitive functions, beauty, weight loss and gut health. Superfoods like turmeric, medicinal mushrooms, schisandra, ashwagandha and goji berries will appear in more product launches, while colorful ingredients like blue algae, beet, matcha and purple tea will be sought out for their aesthetic and functional value. Plant-based drinks. As more consumers look for healthier, more functional products, they are opting for more plant-based beverages. According to an NPD Group report, plant-based product claims grew at a CAGR of 62% worldwide from 2013 to 2017 and 86% of people buying plant-based products are also meat eaters. The growth in the flexitarian lifestyle is spurred by the perception that plant-based products are better-for-you and more sustainable than the animal-based counterparts. The non-dairy milk category is the largest plant-based category, including soy, coconut, oat, chickpea and sesame seed milks. Sugar reduction claims. One way consumers are trying to live healthier lifestyles is by reducing their sugar intake. According to Mintel, 86% of consumers are limiting the amount of sugar in their diet. Though consumers want to cut the sugars, they want to keep the same taste. Since consumers want the same sweet flavor with less sugar, many brands are turning to sweeteners like stevia and monk fruit. Clean labels. According to Innova Market Insights, clean label claims like no artificial flavors, colors, preservatives or sweeteners, non-GMO and natural were up 30% from 2013-2017. With this increased trend, brands will continue to formulated and reformulate products to meet clean and natural standards, while paying close attention to origin stories to promote transparency. Sustaina­bility claims. Spurred by social media and activism, the sustaina­bility movement has generated awareness of issues related to global warming and food waste. This has made consumers question the products that they purchased and the waste that they are producing. According to a Unilever survey of 20,000 consumers, one-third prefer products that help reduce their environmental footprint, while Mintel studies suggest consumers will pay more for products with sustainable claims. Products with eco-friendly packaging and sustaina­bility claims will continue to grow in 2019.